Southern California native Matthew Valbuena is a true all around handy guy. A self-taught home and automotive DIY enthusiast, Matthew has spent the majority of his life getting ‘hands on’ with cars, tech and home improvement. From a very early age, Matthew spent his childhood helping his father around the house and under the hood learning how everything and anything mechanical ticked. With a garage full of tools, Matthew put his skills to work as early as elementary school–earning extra credit by repairing electric pencil sharpeners. By junior high school, Matthew had amassed his own collection of hand and power tools and was putting them to use wherever he could. Before he even had a driver’s license, Matthew had received a US Patent for a Test Kit Gripping Apparatus (5,589,648) and had customized his first vehicle. At 16, Matthew officially entered the automotive industry with the greatest job any teenage automotive enthusiast could want: gas station island attendant. And the rest, as they say, is history. After studying Industrial Design at Cal State Long Beach, Matthew quickly made a career for himself within the automotive aftermarket industry. Matthew has worked on and constructed custom and show vehicles for a variety of highprofile companies including Pepsi, Oakley, Toyo Tires, Magnaflow, Vizualogic rear seat entertainment systems, Kenwood, Pioneer, Mazda, Ford, Lincoln, Chevrolet, Chrysler, Nissan, Scion, Toyota, and Mitsubishi. These vehicles were featured at major trade shows including CES, SEMA, and NAIAS and have appeared in countless automotive enthusiast publications. With a passion for everything automotive, Matthew is a fan of all things four-wheeled: from 3-cylinders to 16-cylinders, rat-rod to hot-rod, compact car to super car. And while his first love is all things automotive, Matthew also enjoys the satisfaction that comes with the completion of a successful project in any area, whether it’s home repair, automotive customization, performance and maintenance, or tinkering with electronics. Matthew’s engaging personality also developed at a very early age. As a child born to deaf parents, Matthew quickly became comfortable talking to strangers on his parents’ behalf. At the age of eight, he interpreted for several hours as his parents haggled to buy a new car! After that, he was ready to take on the world. He is a true DIY enthusiast who loves to help friends and family get the most out of their home and automotive projects and teach them how to solve their problems easily and inexpensively, offering up his tools and knowledge to help them acquire their own do-it-yourself skills. On-Air, On-Screen, On-Line and In-Print. As a frequent drop-in guest on Car and Driver Radio and Popular Science Radio, Matthew has had the privilege of meeting and interviewing notable automotive figures including: Chip Foose, Carroll Shelby, George Barris, Eddie Alterman, Billy Gibbons, Ralph Gilles, Barry Meguiar, Myles Kovacs, and Richard Petty. Matthew has appeared on TLC’s ‘Rides’ as part of a Chevy HHR customization project, and on HGTV’s ‘I Want That!’ Tech Toys. 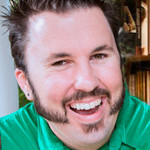 He also has written how-to tech articles and product reviews for several major consumer electronics and automotive enthusiast magazines including Car Audio & Electronics and Siphon Magazine, and several of his project cars have appeared on TV and in film, and were featured in prominent enthusiast magazines.